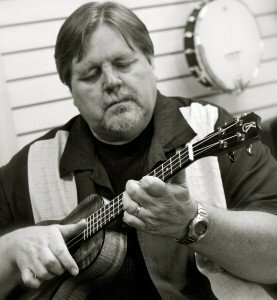 Stuart L. Herreid (“StuPendous” to his many friends) hung up his ukulele for the last time and departed this world on Friday, September 9, 2016, passing peacefully into God’s loving arms. Born October 13, 1955 in Yakima, WA, Stu was preceded in death by his parents Byron and Donna Herreid. Stu is survived by his loving wife of 38 years, April Sheree, his two awesome daughters Kristine Herreid- Conde and Danielle Herreid and grandchildren Ivy, Angel, Jazilin and Scarlet. His family will cherish reliving his memory to his future grandkids. He is also remembered by his little brother Lynne Herreid and little sister Megan Pires. Stu was a man of deep faith and lived his motto: “Always trust your cape.” And so he did.